Hostos Community College has set up this site to offer our community and friends an updated list of international, national, and local government and non-governmental organizations and coalitions working towards the recovery of Mexico and the Caribbean. We have worked to include coalitions and organizations led by respected colleagues in different agencies and fields. Use this guide to help you decide how, when, and where to help. Read through it, inform yourself, and help however you can. 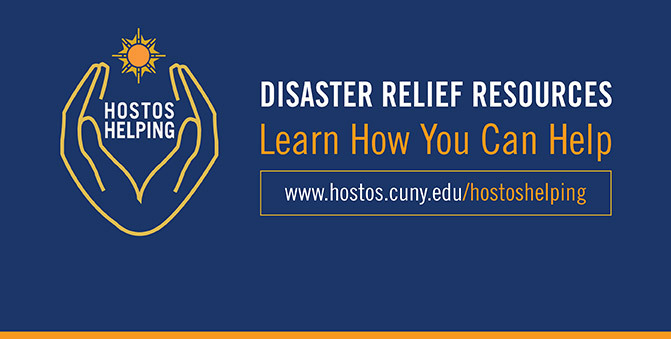 If you have information on other efforts across the region and the country, please send correspondence to sriveralopez@hostos.cuny.edu.